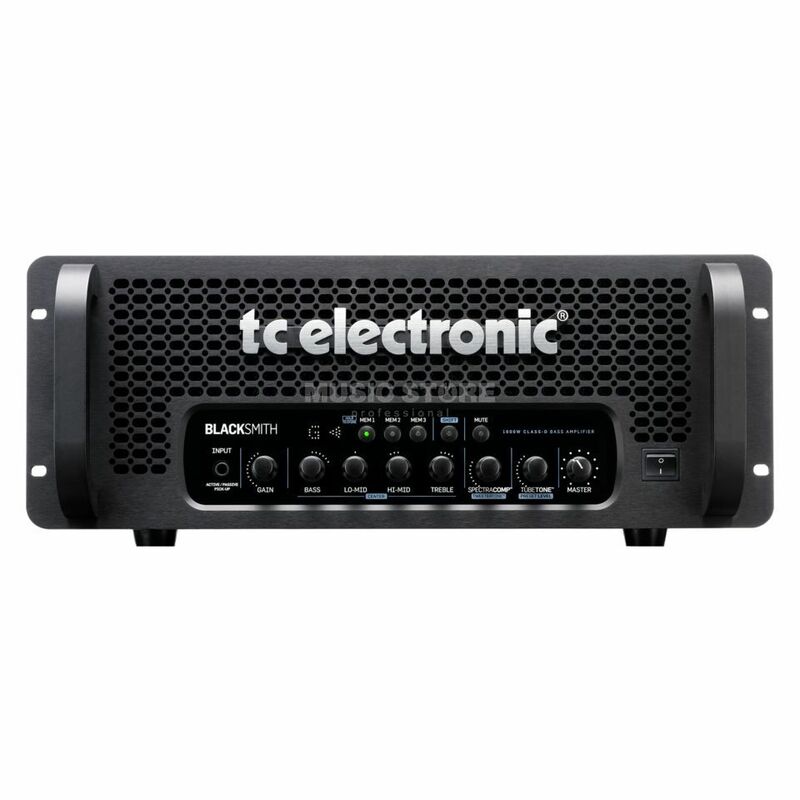 The TC Electronic BlackSmith Bass Guitar Amplifier Head - Power Meets Versatility. TC Electronic Blacksmith Head offers more than excessive power, with renowned Bass amp 2.0 features such as integrated chromatic bass tuner, refined tone-shaping tools including 4 bands of EQ, SpectraComp 'per string compression', TubeTone 'complete Tube pre- and power amp recreation' and TweeterTone 'intelligent HF control' as well as the unique 3 user-defined memories, Blacksmith takes bass amplification to a new level in more than one respect. The TC Electronic Blacksmith Amp is capable handling cabinet combinations all the way down to 2 ohms, so ultimately, you could fire up four RS410 cabinets simultaneously - that's 16 x 10” or 8.7 square foot of speaker cones blasting air in your direction. Presets - 3 user-defined presets. SpectraComp - Multi-band compression - the musical way to compress! TubeTone - Emulation of both the tube preamp and tube power amp sections. TweeterTone - Front panel tweeter level control for crisp and modern bass tones.